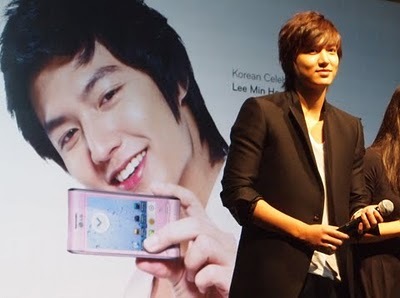 For you who just LOVE Lee Min Ho, you must have known that he went to Singapore to promote a cellphone from LG Electronics ( LG Optimus) right? Over 3000 Singapore fans (some of them not from Singapore, but from other countries such as Malaysia, Indonesia, etc) turned up for the meet-and-greet session with out beloved Lee Min Ho. This meet-and-greet was presented by LG Electronics. 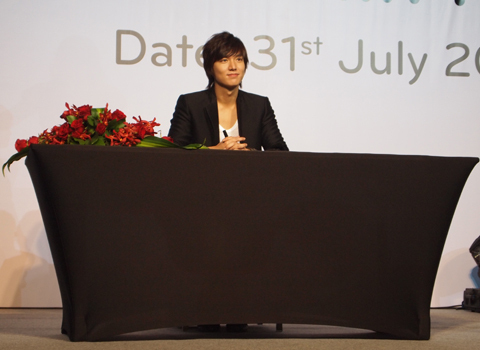 This meet-and-greet session was held at the Grand Ballroom of Marina Sands Resorts, Singapore, on July 31, 2010. During the session, our Min Ho revealed he was now seriously considering for a soulmate, while answering to difficult questions on relationship. He admitted that he was kind of shy when it came to women and female friends too. He was jokingly quoted as saying, “I wished there’s a function or cellphone app for meeting women – a dating function would be good”. 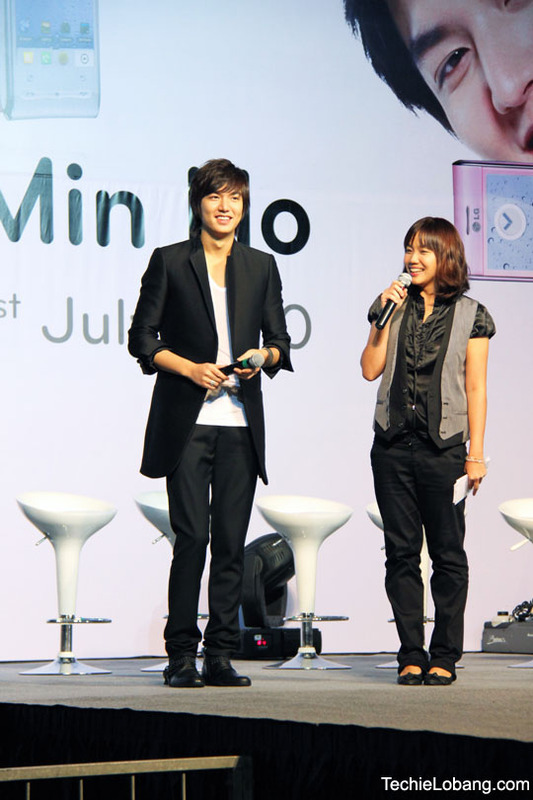 Our Min Ho's visit in Singapore also coincides with the scheduled broadcasting of his new romantic comedy drama, ”Personal Taste’‘ which will be aired on the national television channel, Channel U next month. Now if there is something that Lee Min-ho will most probably miss in Singapore - it is Chili Crabs which he mentions a couple times during the event and interview, and his eyes sure brightens at the very mention of the Crabs, as much as he wants to learn and cook the dish too. Here are the pictures from the event.